There comes a time in our lives when we sit back and question everything we learned in school. Mostly when our CA talks about zillion tax-saving options or when you remember the terrifying problem scribbled on the board that asked you to find the value of “x”. Did school teach us enough to handle different unexpected problems life throws at us? Let’s look at some concepts we think our syllabus should have totally included. In today’s competitive generation, we’re exposed to a plethora of problems that we don’t know how to deal with. Imagine a lecture that talks about real problems, how to deal with heart break, how to not let failure discourage us, how to keep ourselves motivated and positive, how communication is the foundation of all healthy relationships. We think it would have been super helpful. Along with sound career advice, we feel schools could stress on the importance of investing a decent amount of time and energy on giving back to the society as well and how it makes the world a much better place. If there’s a cause that’s close to your heart, there are ways you can help. But who’s got the time or money, you say? What if we tell you there’s a way you can do it without going to the field or shelling out money? You could crowd fund! Here are 3 magic steps: Pick a cause, choose an NGO that supports the cause and raise funds using Ketto. Here’s Nisha’s story who raised more than a lakh for Vatsalya Foundation towards provision of clothes and shoes to kids. Give it a read. Banks are filled with confused, direction less souls just trying to figure out which queue to stand in. When you hit your early 20s and decide to do something instead of just splurging your hard earned money, bam! You’re hit with jargons like Systematic Investment Planning, Mutual Funds, and Life Insurance that can be overwhelming. Don’t you think life would have been a tad bit easier had our school talked us through the basics of banking, finances and filing taxes so we were better prepared for the financial horror approaching us on March 31. Every mall, corporate office and even some rickshaws have a fire extinguisher installed, but how many of us know how to use it? How many of us know how to give basic CPR in case someone collapses because of an unexpected heart attack? Or what number to dial if some pervert starts stalking you? Panic can wreck a situation and make it worse. Having presence of mind and thinking on your feet in case of an emergency is something no one taught us in school. How we wish we were better equipped for such mishaps, both mentally and emotionally. We’re rightly called the startup generation. We get inspired by stories of entrepreneurs, starting from the almighty Steve Jobs to the homegrown Ritesh Agarwal of OYO rooms. 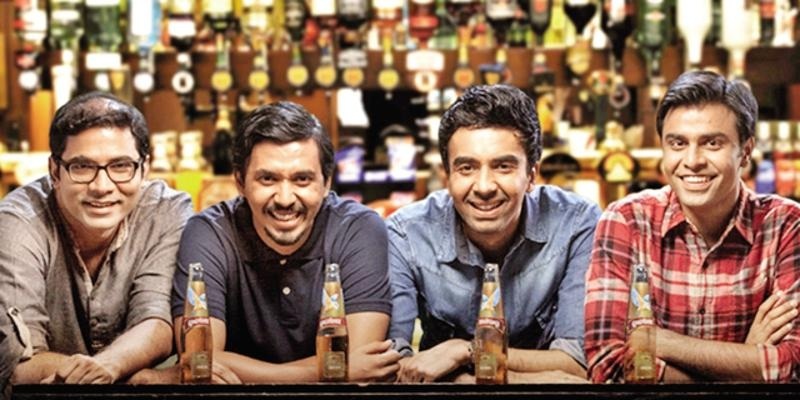 We obsess over shows like TVF Pitchers, that focuses on the struggle and passion of 4 budding entrepreneurs. This one’s our personal favourite because Ketto is a startup and we even help startups grow! Find out more here. We were trained to get a good job so we can “settle”. If we were encouraged to become entrepreneurs in school, we would have probably had the largest number of entrepreneurs. Don’t you think? Would we still have cooked up excuses to bunk school, had things been different? Oh c’mon, we’ve all done it! We don’t know about the rest, but if you wish to understand crowdfunding better, we’re happy to help! Read through some of our campaign stories right now. Thanky Thanky for all this good innomratiof!